A new study by researchers from the University of Padua in Padua, Italy, found that Prosecco vineyards in the Veneto region of northeastern Italy are responsible for up to 75% of soil erosion in the area. The researchers found that up to 400,000 tons of soil are lost every year in the vineyards and calculated that each bottle of Prosecco in the region is associated with a loss of 4.4 kilograms of soil. 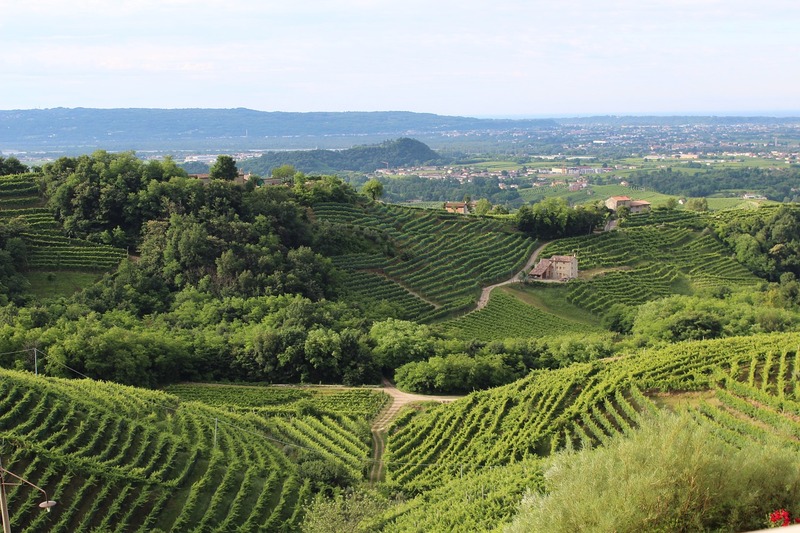 Known as the Controlled and Guaranteed Designation of Origin (DOCG) region, the area features steep hillsides and is known for growing high quality Prosecco grapes. While northeast Italy produces 400 million bottles of prosecco each year, DOCG is responsible for 90 million bottles, according to Earth News. With Prosecco demand expected to grow by 36% through 2020, the vineyard hillsides may face rapid erosion. The study aimed to calculate a soil footprint for Prosecco production and develop mitigation strategies. By studying 10 years worth of data for rainfall, land use and soil characteristics as well as high-resolution topographic maps, the research team was able to determine the quantity of soil lost to erosion in the region annually, reported Science News. The researchers recommended the use of nature-based mitigation measures, including hedgerows, buffer strips and grass cover; however, an association representing DOCG Prosecco producers argued they already implement erosion control best management practices. The study, titled Drinking Earth for Wine: Estimation of Soil Erosion in the Prosecco DOCG Area, Toward a Soil Footprint of Bottled Sparkling Wine Production, can be viewed online here and is not peer-reviewed yet.